Noise control in sensitive areas must be considered when designing a space requiring privacy and security. Hospitals and clinics, government buildings, and even private offices all deserve this consideration. 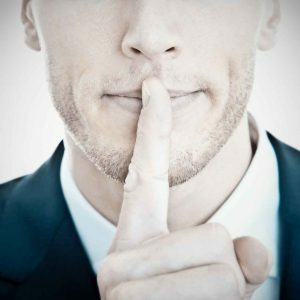 This article discusses noise control techniques for keeping your top secret conversations private! Some facilities, such as Sensitive Compartmentalized Information Facilities or SCIFs, have specific requirements for noise and sound. As you may know, noise travels by many different paths. For instance, it can go through walls, ceilings and floors, doors and windows, penetrations, and even mechanical system ductwork. Federal guidelines for SCIF construction give straightforward standards for partition, floor/ceiling, door, and window construction. However, there are times when variations in standard constructions may be called for. To ensure privacy in an area, analyze each noise path during building design to make sure that none of them compromises required levels of sound isolation. An acoustical consultant can verify whether proposed alternate constructions meet any sound isolation requirements. If they do not meet the requirements, a consultant can typically recommend constructions that will work. In many secure areas such as SCIFs, sound isolation through the mechanical systems between rooms must be at least equivalent to that of the partition separating the two spaces. Duct silencers and/or lined transfer ducts can provide improved isolation (attenuation) for SCIF noise control. However, it can become expensive to include such measures at the boundary of each room. An acoustical consultant can calculate sound transmission through the mechanical system and recommend duct silencers, duct lining, or duct lagging (in cases where noise breaks in or out through the duct walls). This will determine where extra measures are needed, and where they are not. Many of these same design principles apply in other facilities with a need for high levels of noise control. Such places might include patient rooms in hospitals or doctors’ offices, legal consultation rooms in offices or courthouses, or executive board rooms. Whatever your needs, or your client’s needs, acoustical consulting can help you reach required levels of privacy, confidentiality or security. This post was authored by AVANT ACOUSTICS Senior Associate, Emily Jaumard.